Whether you’re a graphic designer or a web designer, keeping the creative juices flowing can be tough. We are constantly churning out project after project, so it’s imperative that we have a constantly refreshed well of resources to draw from. I find inspiration is two-fold process. We need to gather it in our daily travels and squirrel it away for later use. But we also need to collect project-specific collections that help us define the mood and direction for a new piece or work. So, what is a ‘Mood Board’? If you’re unfamiliar with the concept of mood boards, they are collections of colors, patterns, textures, visual details, thoughts, ideas, and concepts that set the tone for a project. 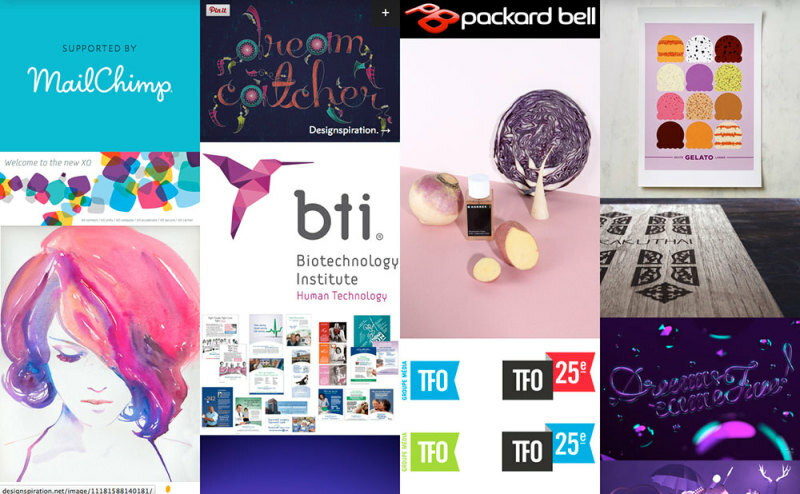 Design agencies create mood boards to get a feel for a project, and to help get clients and staff all on the same page. Mood boards can be digital or a collection of printed work and materials – or both. They can be made up of photos, paint swatches, fabric samples, text examples, and almost anything else relevant to a project. There are really no limits to what can be added to a mood board. For instance, in the movie Robots (2005), the lead character, Rodney, draws inspiration from everything from 1960’s VW Combi vans to a 1955 outboard motor. The animators even collected old Jimmy Stewart film clips to borrow from the actors lanky movements. 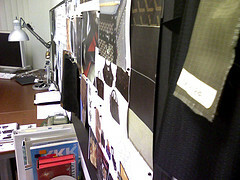 Mood boards are usually developed at the outset of a project. The goal is to capture the essence of what you will be designing for. Now that we understand what mood boards are, as well as why we’d want to use one, it’s important to know some of the best places to find what you’re looking for. Some of these resources are great, especially if you’re in a time crunch. Pinterest is visually rich and has a huge, active community of contributors. Pinterest has to be #1 on the list. It’s without a doubt one of the best places to go to find beautiful, interesting and well-categorized imagery and graphics. It is this crowd-driven curration which is makes the site particularly useful. The entire site has a powerful search facility, and you can re-pin images to your own boards for safekeeping. You could easily create a new board for each project and re-pin related resources there with ease. On top of that, when you’re searching the web, Pinterest’s ‘Pin It’ button extensions allows you to collect inspiration as you browse. This enables you to pin images from any website or resource. Not only does this enable you to pin images to boards, but it also links back to the site where you originally retrieved it. This takes all of the legwork and the guesswork out of remembering where you stumbled across something. Evernote is a mature app with more than its share of killer features. 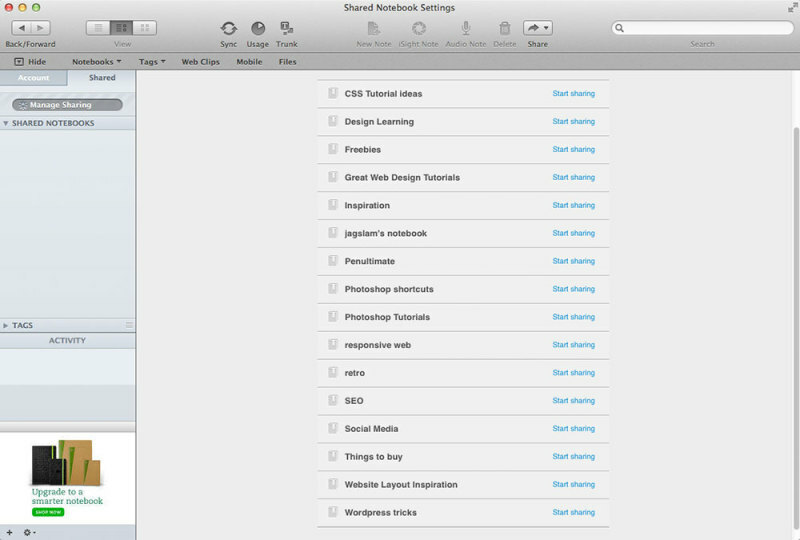 Not mentioned so much anymore, Evernote is another great tool for collecting inspiration. You can collect links, site pages, and more. The ability to categorize and highly refine your groups of items is what makes it a great tool for gathering inspiration. One thing that stands out about Evernote is the ability to save Audio Notes, which is excellent. This is unique, and is a great way to keep track of thoughts and feelings at a particular time. Let’s say you’re working on a project, and you had an epiphany. You could save that idea as an audio note to come back to later. If you’re a Mac user, you can save iSight notes, too. This let’s you save small videos for later. Evernote also makes it easy to filter search results, so that you can find them later. You can look at only web clips, things you’ve added via mobile, or actual files. Evernote has one other killer feature – automatic OCR (Optical Character Recognition). This means you can even search the text within images, such as film titles, book covers or printed captions. 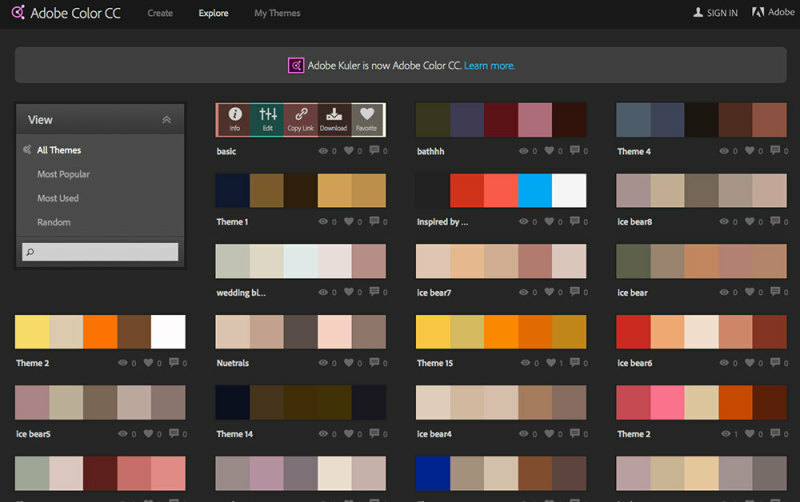 If you’re working in either Photoshop or Illustrator, and you need some color palette inspiration, Adobe Color CC (Formerly known as Kuler) is the go-to tool for color palettes and inspiration. You can browse color palettes made by professionals all over the world. By going to explore, you can browse all of the color palettes available. You can also refine your search by typing in a keyword. For example, if you typed in “retro” you will get a list of retro-inspired color palettes made and uploaded by other designers. A palette generated from an uploaded JPeG. 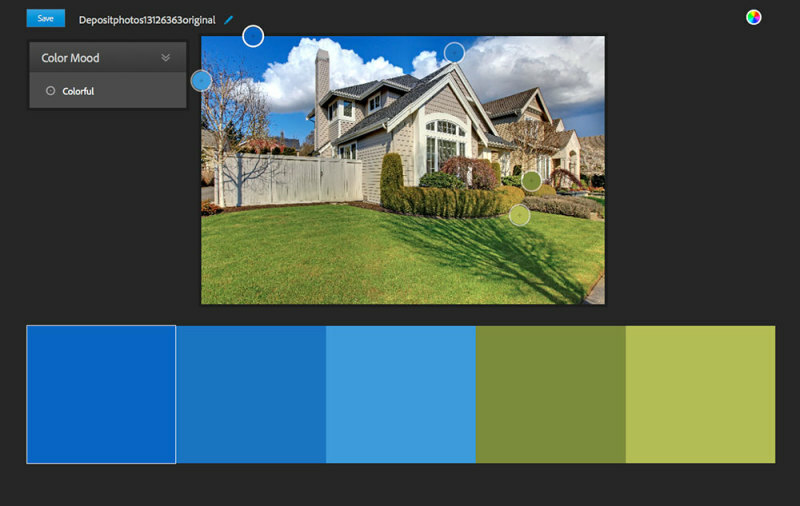 Another stand-out feature, which dovetails nicely with our discussion of mood boards, allows you generate a color palette from any uploaded image. You can see from the image above that you can adjust different points where you sample the image for color. This is extremely useful, because one of the images from your mood board could be used to develop your own custom color palette for the project. Adobe Color CC enables you to save those color palettes and bring them directly into Photoshop or Illustrator, increasing your productivity and speeding up your workflow. 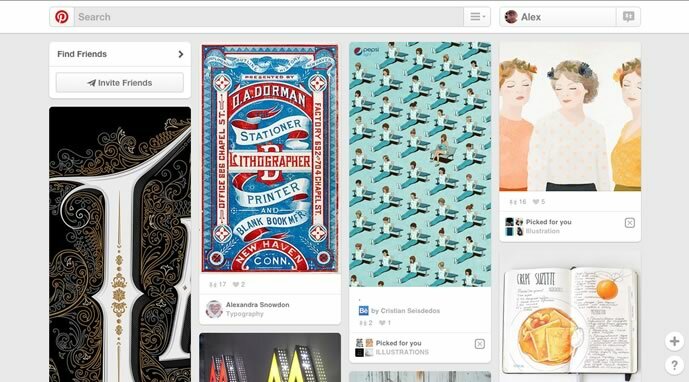 Built for creating mood boards, Niice.co is a great tool for designers to gather inspiration. They even have a short video showing you how to build a mood board in 2 minutes while using their site. Niice.co is all about amazing, creative imagery to help give you that creative spark. The site is great for showing you unique concepts that you won’t just anywhere else. Niice.co has a great search feature, which is displayed prominently at the top of the site. For example, I typed in “purple” in the search feature, and you can see the results in the screenshot above. If you’re not sure what you’re looking for, you can also click “surprise me” and you’ll be pleasantly surprised with a collection of gorgeous imagery. You’re allowed up to 5 free mood boards, and you can drag and arrange images within them however you wish. If you want to save images and create your own mood boards, you can do so with Niice. There’s a Chrome extension, which enables you to save images to your mood boards from the web. Another great feature is that you can add collaborators via email address to contribute to the mood board. This is great for creative teams and agencies, enabling each member to have input on the project. If you’re already well embedded in the Google-verse, Keep might be for you. You may not have heard of this one, but Google Keep is a mix between a to-do list and your own personal mood board. You can collect links, and images from around the web. 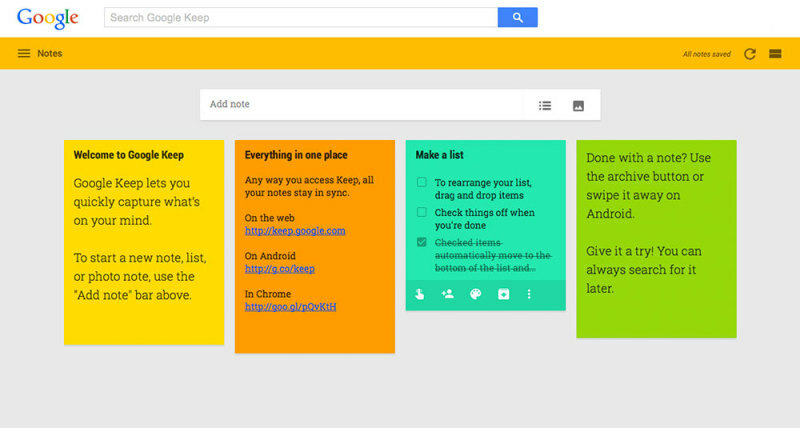 You can add notes or thoughts to Google keep and save them for later. It syncs on the web, Android and via Chrome, so you can add things as you’re browsing the web. What I like about Keep is that you can refine everything after the fact. You can check items off of your list and narrow down the images, links and thoughts that really matter to your project. This enables you to start broad before narrowing your ideas and concepts into a streamlined and optimized format. Next time you need to gather inspiration for a project, you can use any of these tools to make the process quicker, easier, and more organized. Tools like Niice allow for easy collaboration with others on project mood boards. This is a powerful tool for coordinating creative teams and their collaborative efforts. This topic was automatically closed 91 days after the last reply. New replies are no longer allowed.